I've got an old belt-driven bench-size (jobsite?) jointer -- 6" bed, infeed/outfeed tables each about 11" long -- that I've been storing for a friend. Never got around to getting it mounted with the motor and a belt installed and blades sharpened/adjusted... I'm presuming that, outside of the belt and size issues, tuning it up would be just like tuning a full-size unit. The big plus, of course, is that I already have it on hand, and jointers aren't cheap. The minus is that it'll be a bit of a pain to make useful, and those short tables presumably limit the beast's accuracy. So: Does anyone have enough experience with these small models to opine on whether it's worth the effort, or if I should continue to try to get by with planer/tablesaw jointing tricks until I'm ready to budget for another Serious Tool, and leave this as a museum piece? And if I do try to put it in use, are there any tricks to getting the most out of it? It's typically a matter of replacements/servicing bearings, belts and have the blades replaced/sharpened and then attack any rust/corrosion. As it's belt driven, replacement of a motor could be a relatively easy mail order operation. There are even people that (if needed) hand rewind the arbors. Now, you just must do the calculus to determine how much sweat equity you're going to swap for cash, and if your Cash + Intrinsic Value >= Cost of a new machine, go for a new machine. If it were my choice to make... let me put it this way: I've actually spent a little time with a handheld power planer upside-down in a jig as a "micro jointer". I've come a long way, since I now have two full-production jointers (one 1HP 6", and one 2HP 8" antique) in my shop. 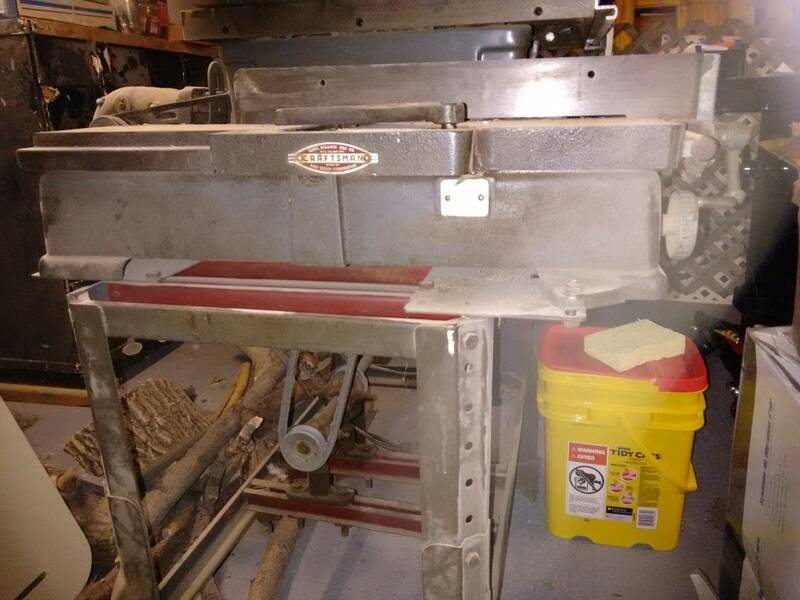 I'd put that jointer to use and make the best of it while you save up for one of the Big Boys. It hardly has any rust on it, less than my jointers grow over one winter/spring! Jointing long rough crooked workpieces on that one should be expected to be tedious because of the short tables, but it can certainly still be done - it's not like long tables make something possible that's impossible with shorter tables. But... when you finally break over and buy a really large jointer, you'll really appreciate it after having worked with that one. THEN you can think about retiring it or passing it along to the next person who's shy one jointer. Clean it up, derust it where you need to, sharpen the knives, wax the tables & cutterhead with pastewax, and tune it up as if your life depended upon it. When it's well tuned, it won't vex you much. Not the answer you're looking for? Browse other questions tagged jointer restoration or ask your own question. 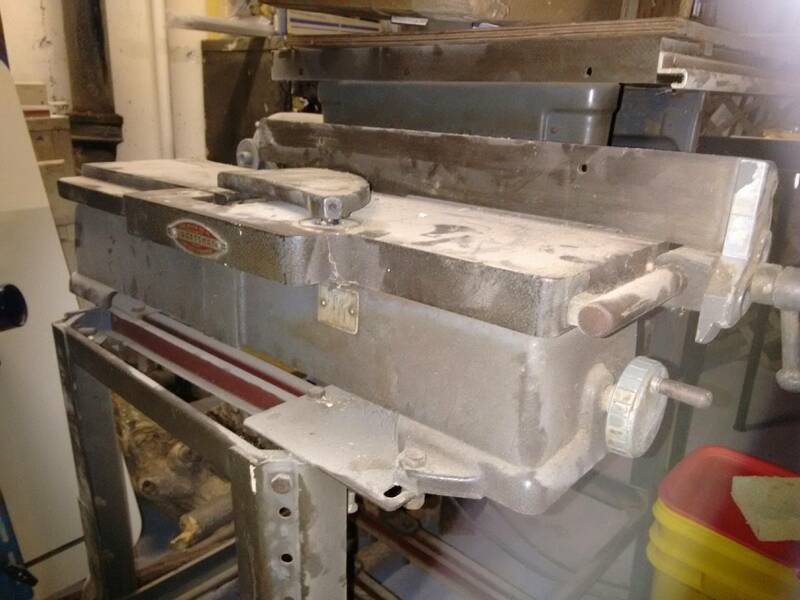 What safety precautions should I take when using a jointer? Is a bench top jointer better than no jointer?